About Us Are you head of a 1-person development office - or a nonprofit executive director - needing to do it all "faster, smarter, better?" Create sustainable funding systems for your organization in 20 hours a week or less. 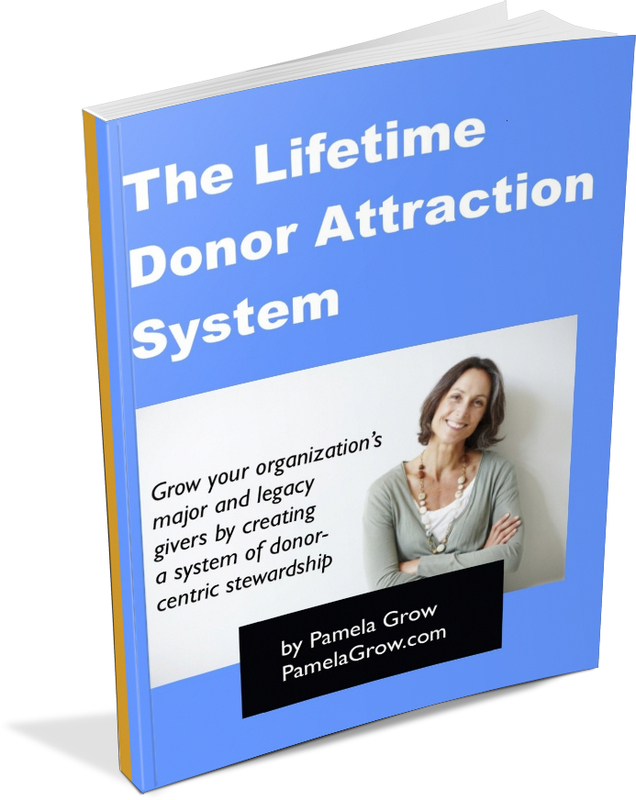 Pamela is author of Five Days to Foundation Grants and the creator of Simple Development Systems, a member of the AFP, a contributing member to CharityChannel & a guest panelist of the Chronicle of Philanthropy. For six years I worked for a regional private family foundation. It was an amazing learning experience on so many levels, including teaching me how donors respond. In a recent post on Kivi’s Nonprofit Marketing Blog, Kivi notes that people’s hearts tend to overrule their heads. She raises a number of good points, backed by sound research. Yet still, nonprofit organizations have a strong propensity for the dry, didactic prose that sets no ones heart aflame. Whenever I’ve had an annual campaign to write, I’ve always put myself in the shoes of a donor. And usually that donor is standing over the trash, opening her mail. Will the standard “Dear friend: We are writing you today to seek your support blah blah blah” letter make her pause, walk away from the trash can and pull out her checkbook? Hardly. So I write and rewrite and write some more. The resulting letter will be something that will make the reader either think – “It could happen to me.” “This organization deserves my support!” “Wow; they’re doing amazing things – I’m going to add this group to the charities I support” – or cry, or, hopefully both. And then there are those otherwise savvy development folk, who have mastered the art of bringing emotion to their development writing – their annual campaign, their thank you letters, their web copy and brochures – and yet completely toss it all aside when it comes to a grant proposal. Foundation funders are people too. I well recall one faith-based organization that was funded by my foundation on a regular basis. Every time a proposal came in from this organization both of our vice presidents and the entire program staff couldn’t wait to read it. Their proposals were filled with emotion, passion and, yes, always new stories. They read like a never-ending novel of hope. I’m sure it didn’t hurt their cause any that they’d had the same executive director for going on twenty years and her passion has never waned. But you, too, can bring that passion and emotion, those stories, to your development writing, and – not to be forgotten – to your grant proposal writing. Without a doubt, proposal language should be fresh and vivid – if we’re bored with our work, then we won’t inspire anyone. But I’d caution neophyte fundraisers from trying to win over funders with the same kind of heart rending appeals common in direct mail. Why? Because foundation funders are already committed to providing funds to nonprofit organizations — and if they are considering your request, they probably are already interested in your cause. Unlike the direct mail donor at the recycling bin, they probably don’t need to be convinced that the problem is a problem. The question is: will you do a good job of addressing that problem? One other thought: perhaps the worst way to communicate passion is to overload your prose with adjectives and boasts. Great post Matthew and I wholeheartedly agree. My general modus operandi when drafting a standard grant proposal is to review all of the hard numbers first – 46% of our kids will be the first in their families to graduate from college – and use storytelling to complement those statistics. In the case of ABC Charity, I would certainly tell the story of one of those homebound seniors, and what that hot meal means to him/her. Emotion and storytelling really make a good proposal great. I find this such an interesting discussion. I’m in a bit of a unique position (I believe). At my foundation, I am both a grant writer and a grant reader. So I try to incorporate my own experiences reviewing grants when preparing grant proposals for other funders. This advice to include stories has been…well, frankly a real conundrum for me. Including emotion based stories appeals to the writer in me. On the other hand as a reviewer, I simply want straight forward, well written proposals. The goal is to get through them quickly taking away as much information about why this approach is the best compared to 20, 50 or 100 others. The truth is, as a reviewer, if the narrative isn’t telling me about how the activities described are resulting in the outcome my organization desires or how the applicant is collaborating with similar organizations in our area or how they’ve involved stakeholders in the plan…it really doesn’t get my full attention. Certainly I enjoy good writing, but in this circumstance that really means clear writing sans circular arguments. And again…as a writer, I understand the value of the individual story. And frankly they are a lot more enjoyable to write. I guess if I reflect a little more, the place that I really get jazzed about the individual stories as a grant reviewer, is in the grant reports at the conclusion of the grant. These are the kinds of things program officers can take to their boards, to their boss, to funders (if applicable) and put into press releases and annual reports. Perhaps that’s the place to reserve the good stories for. Thanks for your thoughts on this, Pam! Get an insider’s view on how to write funded foundation grant proposals by signing up for my free 5 part course! 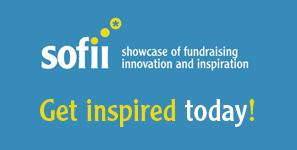 You’ll learn how to do foundation research using free online tools, how to create templates, how to develop relationships with foundation funders and more. 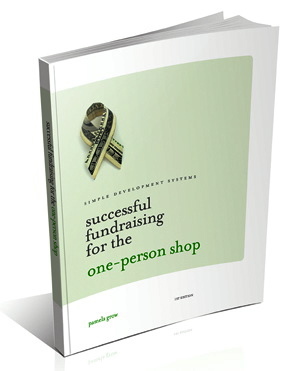 You’ll also receive a free subscription to The Grow Report offering free, cut-to-the-chase fundraising systems you can begin implementing today. Delivered to your inbox every Thursday morning. No BS, no spam - ever. The Bible for the one-person development department!